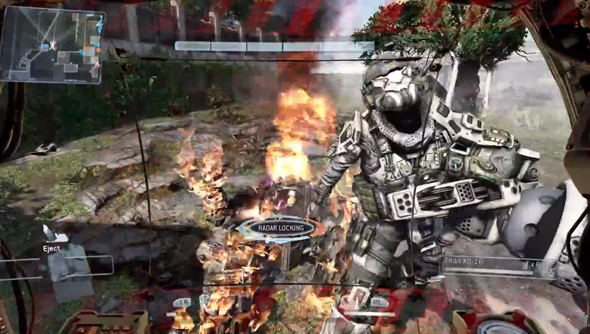 Titanfall has landed; here’s our Titanfall review. Titanfall finally has a release date and, in the grand scheme of things, it’s close. Just six months away. To tide us over till then Respawn have released five minutes of the game in action. It’s showing the level I went hands on with at Gamescom and I can tell you that it’s pretty accurate to my experience of the game (read: just as awesome to play as it looks). EA’s announced that the game will ship in North America on 11 March but it will three days for the game to travel to the UK because of reasons. So we shan’t be playing it in Blighty till 14 March. The publisher also detailed the contents of the Collector’s Edition. As well as a copy of the game it has a 190 page art book, a poster, anda an 18” tall model of a titan. It costs £250. For £250 you can buy a Build Your Own Robot Arm kit and a Bigtrak Junior. You’ll even have £200 left over to buy alcohol and a copy of Titanfall. You do the math.